What are examples of great B2B eCommerce websites? Why did they choose to do what they did? What do you think is the ROI? Who is innovating in our space? What are the top companies focused on? These great B2B eCommerce websites have a number of things in common. From Amazon to Office Max, they are investing heavily in their customer experience. They have large complex catalogs, and are focused on getting their customers to the right product in as few clicks as possible. Their product content is rich and detailed, and improving every day. These site exhibit the best of B2B eCommerce Best Practices. While these sites are great, they are also constantly changing. I started with the low hanging fruit. Just overall great B2B eCommerce sites. 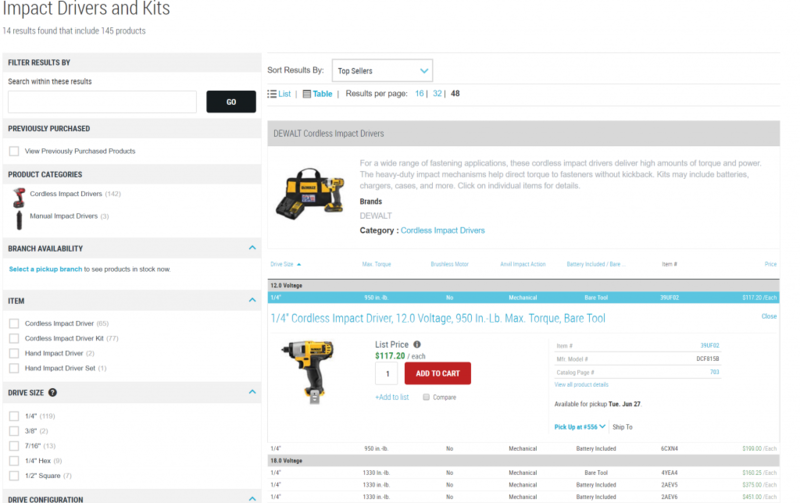 All are in either Office Supplies or Industrial Supply (MRO), but each have something unique to offer you as you look to great examples of B2B eCommerce. Want more? Reach out and we can help you find an example in your industry. W.W. Grainger Inc., a pioneer of business-to-business eCommerce, routinely reports online sales as an increasing percentage of total sales. For 2016, it said eCommerce accounted for about 47%, or about $4.7 billion, of total worldwide net sales of $10.14 billion. Starting with SEO, Grainger executes very well on their long tail search. Search for something like “hucklok fastener rivets” on Google, and Grainger.com comes up consistently in the first few results. When you click on the link it as if you navigated on Grainger.com to fasteners | rivets | hucklok. Grainger has long been admired for how they deliver search and navigation across their millions of products. 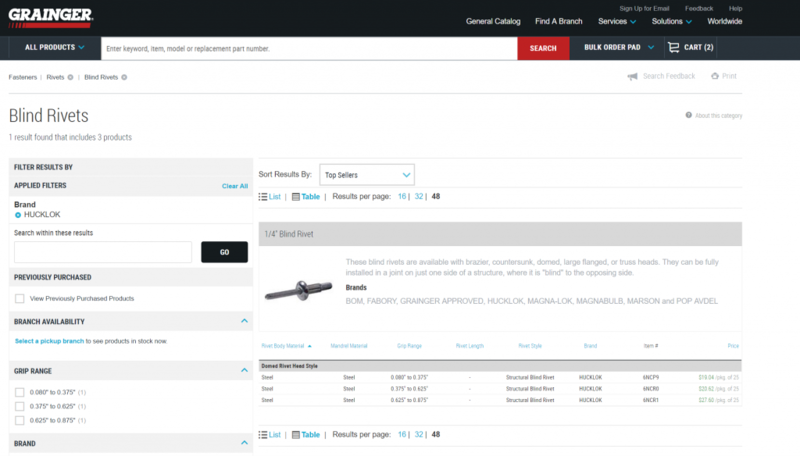 The search box enables the customer to type in any word, description, part number, and model number among others. Navigation and Search are very much tied together so that you can search then navigate, or navigate then search. They also use a mega menu style type ahead for merchandising while searching. The product category pages have evolved dramatically recently, so that they are beginning to make product detail pages less necessary for purchase. See how this category page is optimized for information to select a product as well as make a purchase. Robust filtering along the left bar and an extensive list of product variations lets users quickly skim and sort. This presentation makes it is easy to compare the differences between products to make sure you are selecting exactly what you are looking for. 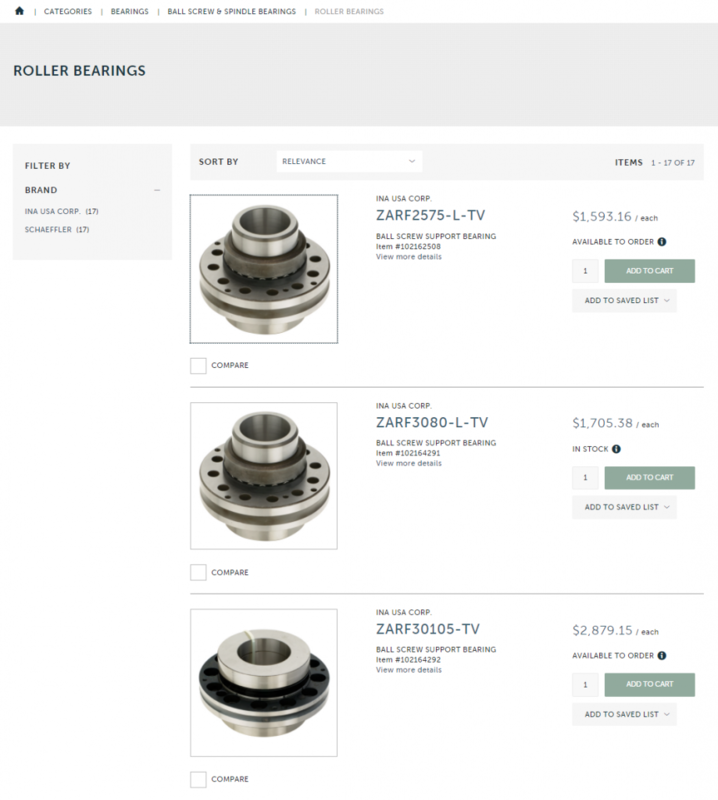 One click on the specific item opens product details, with purchase-critical details: price, item # and manufacturing model and earliest availability. For further information for research or purchase, the product detail page has rich product descriptions, ad-hoc product availability, technical specs and image zoom highlight the product detail page. Attributes like contract pricing, manufacturing model, shipping weight, country of origin and technical specs represent the B2B business. Further down the page, related products and products other customers have purchased are displayed. With a Grainger account, a business manager can set each employee’s spending limits, along with restrictions on who must approve an order before it is submitted to Grainger. Then, as orders are made and adjusted, Grainger updates the appropriate employees in the chain. For example, after a facility manager notices a shortage of safety gloves in a warehouse and requests new ones via the Grainger app on the iPad she carries with her throughout the facility, her supervisor will receive a push notification from the Grainger mobile app on his smartphone, or, if he’s logged into the eCommerce site, an alert at the top of the page, asking him to approve the order. As soon as he does, Grainger processes the order and updates the facility manager via her iPad app of the order’s status. Grainger also notifies the manager when the order is shipped. […]Easy to navigate, organized browsing (alphabetically by part or application), and secure checkout, Grainger.com has everything you’d expect from a professional and efficient site. Shipping is fast thanks to locations in several states and packing lists accurately reflect the items you have purchased. When you need it, need it right, and need it soon, use grainger.com. It’s a site you can count on. 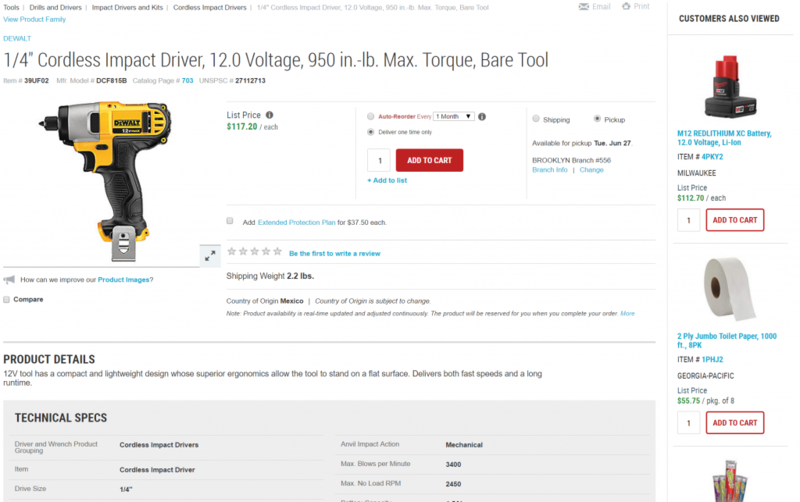 And that’s just a small snapshot of the great features of Grainger.com. They are all about giving their customers the tools to make their job easier. MSC Industrial is one of my favorite sites. MSC Industrial Supply is one of the largest direct marketers and premier distributors of Metalworking and Maintenance, Repair and Operations (“MRO”) supplies to industrial customers throughout the United States. MSC employs one of the industry’s largest sales forces and distributes over 500,000 industrial products from over 2000 suppliers to over 300,000 customers. Awarded the 2016 Ecommerce Player of the Year for continuing to innovate, improve online purchasing features and growing online sales to more than half of total sales. Currently, MSC’s eCommerce sales are nearly 60% of total sales. They have spent a tremendous amount of time on customer experience and optimizing their site for their customer base. Like the Grainger example above, MSC employs most of the B2B customer experience best practices. Seeing detailed availability for products is a premium service that’s crucial to closing the item purchase. While offering this transparency requires communication to your ERP and eCommerce platform, it is hugely valuable information. MSC shows detailed information on availability and quantity available. A logged in user sees overall company availability, as well as availability from the location where the items are shipping from, and at their default branch location for pick up. It eliminates a key question and friction point: it is very clear what’s available where and how they can get the items. Also: MSC’s refinements and guided navigation options are crazy good and detailed. Check out this experience with the level of refinements and product facets available. 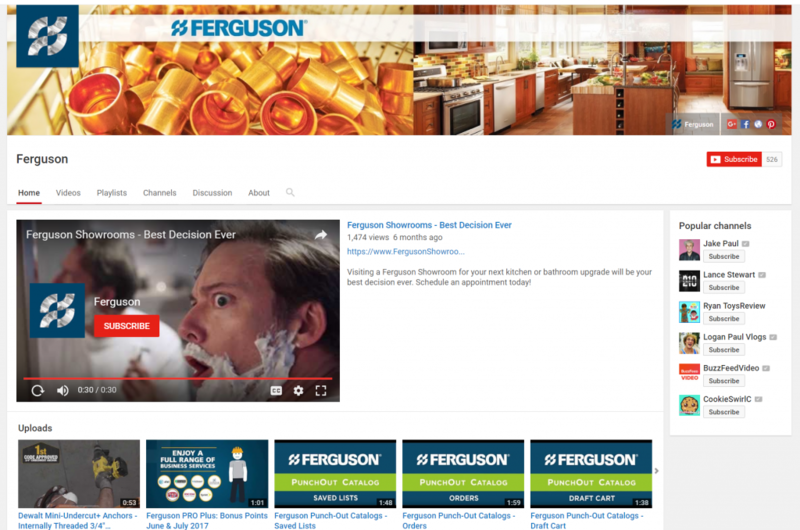 Ferguson is another current favorite in the B2B eCommerce space. They employ all of the best practices, and they have even innovated. First of all, they have B2B AND B2C. 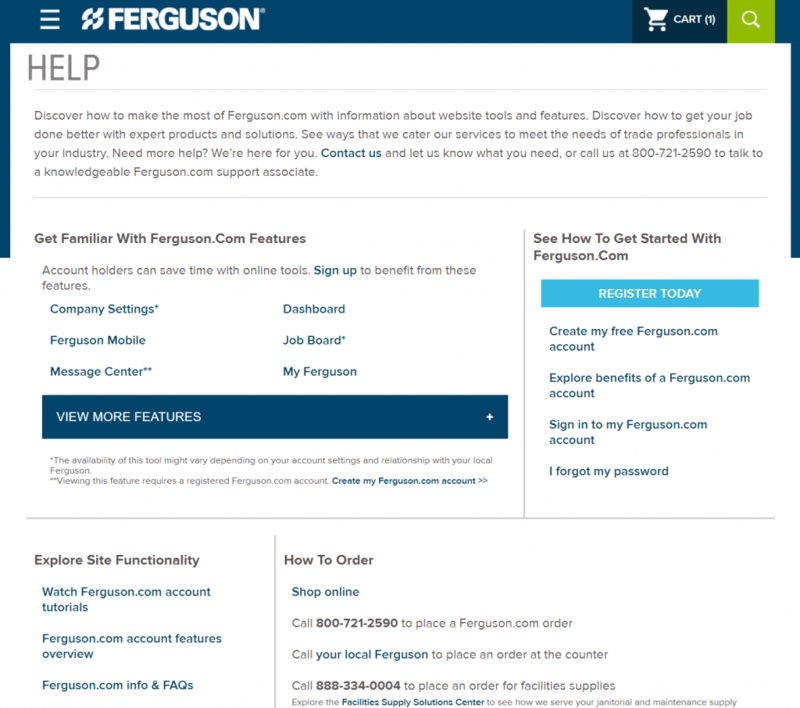 Starting with their home page, you can clearly see a difference between Ferguson and the other B2B eCommerce sites. The home page is beautifully done with a modern yet professional look and feel. They are clearly focused on the intersection of great content and great products. Checkout their focus on content marketing, targeting their customer groups (builders, commercial mechanics, facilities supply, etc. ), and highlighting their popular product categories. They clearly are marketing to businesses in their niche. As you mouseover the navigation on the top, you get fantastic flyover mega menus. In addition, the type ahead shows great matches of products and content. The product detail pages are clean and fresh. 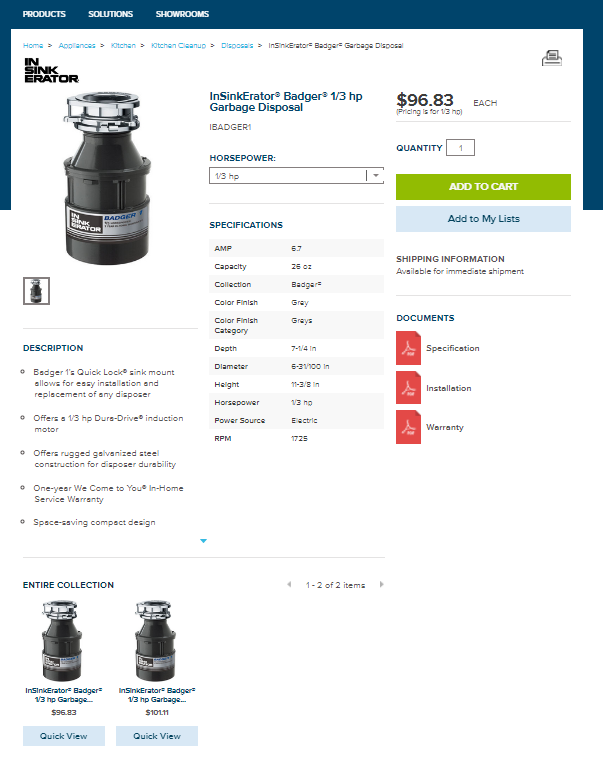 Ferguson uses great imagery and detailed attributes to assure their “buyer” that they are buying the right product. Buttons are bright and modern, and the 3-column design gets a lot of information on the page “above the fold.” The merchandising team has done a fantastic job of creating collections and related products. 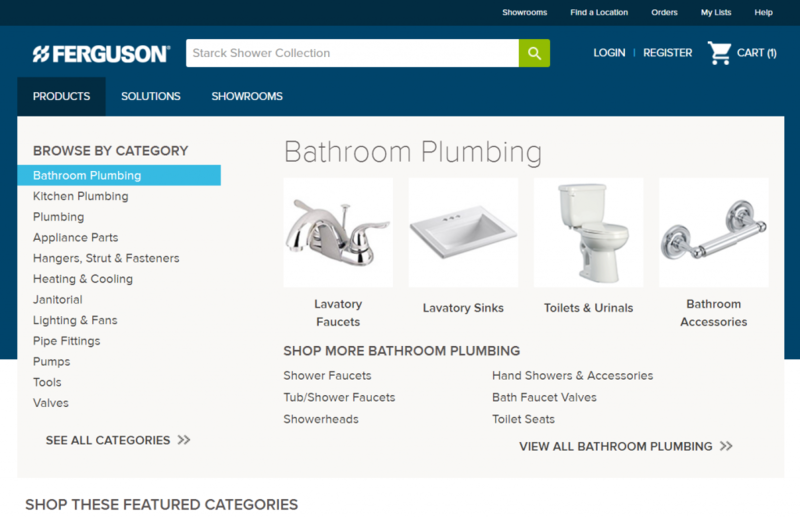 In addition to fantastic search, navigation, and product pages, Ferguson includes robust content pages to drive customer engagement and answer common customer questions. Parting from my normal eCommerce focus, Ferguson also does a fantastic job building their social profile. Of course, they use Facebook and Twitter, but their YouTube channel shows rich video on all types of topics. Long considered a standard in B2B eCommerce, McMaster features visual navigation and lightening-fast response on all pages. Which is key for managing their big catalog (over 555,000 products). The speed of the site means that users can drill down quickly from the huge assortment to specific product groups to quickly adding to cart the individual product they need. Outside of providing a great experience, one of my favorite parts of the site is the inline add to cart and the responsive message you get after adding to cart. It tells you where it will ship from and that you still can get it shipped today. Like we saw in MSC, availability information is a crucial value-add. Nearly a year ago, one of the websites we would have list as “most needing improvement” did a massive overhaul to their website. The new Applied website is now focused on self-service and shopping. Visually the site is appealing: colors are warm and contemporary, banners are uncluttered, product images are crisp. Information is cleanly organized with a lot of white space – making the site look inviting and accessible. Where the previous website design used a lot of text, the redesign uses clear images and consistent visual cues to sell the site.